Hotel Fort Heritage Cochin, Fort Heritage Hotel Cochin, Reservation for Hotel Fort Heritage, Cochin, India. Address: 1/283, Napier Street, Elphinstone Road, Cochin- 683590, Kerala, India. Accessibility: 45 kms. from Airport, 10 kms. from Railway Station, 11 kms. from Bus Stand. 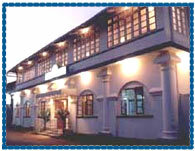 Hotel Fort Heritage was originally a Dutch palace built in the 17th century and owned by a Christian family since 1945. Hotel has a small building but beautifully restored, retaining every feature of the structure. 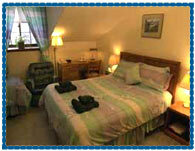 Hotel provides a unique holiday experience offering a perfect blend of old world elegance and modern comforts. Hotel offers 10 spacious air-conditioned rooms, elegantly furnished with period furniture and paintings but providing all the modern amenities for comfort of guests. Doctor on Call, Car Rental, House Boats, 24 Hours Internet Browsing, Laundry Service, Ayurvedic Massotherapeutics and Rejuvenation Center and Steam Bath, Separate Masseurs for Ladies.